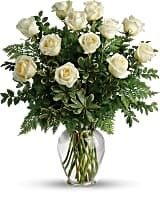 A joyful gesture of love and affection, this chic arrangement of one dozen pure white roses with fresh greens is a special surprise on any occasion. 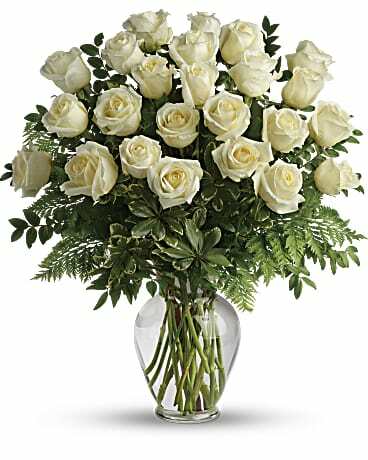 A joyful gesture of love and affection, this chic arrangement of one and a half dozen pure white roses with fresh greens is a special surprise on any occasion. 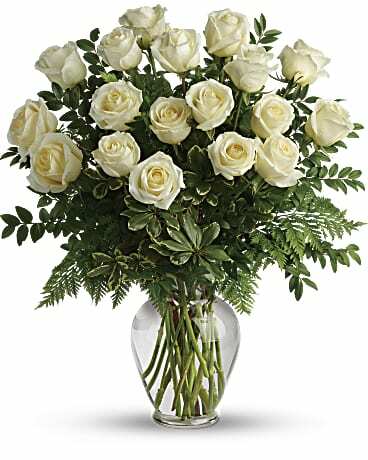 A joyful gesture of love and affection, this chic arrangement of two dozen pure white roses with fresh greens is a special surprise on any occasion.